A personal representative, also known as an executor, is an individual who is responsible for managing the estate after a person dies. If the deceased person prepared a will, it will most likely include his or her preferences about who should act as the personal representative. Typically, the personal representative is a surviving spouse, family member, or a close friend. 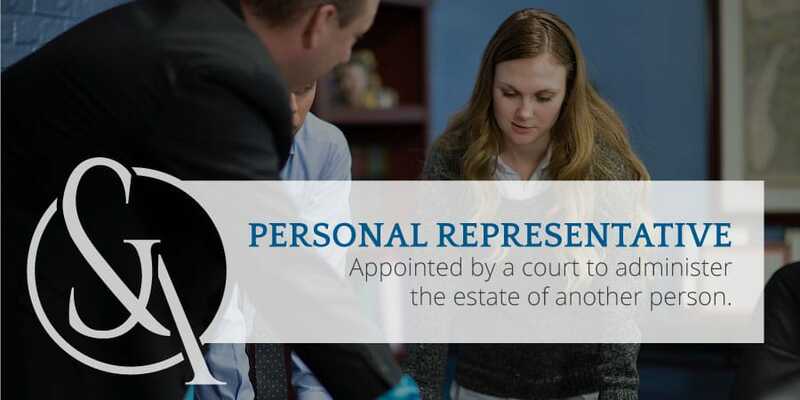 Depending upon the circumstances, the personal representative may also be a guardian, trustee, conservator, or hold some other position related to the disposition of an estate. When someone you love passes away, there are so many things that go through your mind. In addition to your grief, you may worry about how to pay for the funeral or how to ensure long-term financial security for yourself or other family members. Even in instances where there is a will or trust in place, family members are still left with a mountain of paperwork and a lot of questions about what to do next. Our experience with estate planning, trusts, wills, and probate can bring comfort and peace of mind to your family. The personal representative administers the estate of the deceased person and ensures that any property or assets are distributed to the beneficiaries. He or she must act appropriately to implement the wishes of the deceased person as outlined in the will or trust. In cases where a will or a trust does not exist, the personal representative may need to work with the courts to determine the best course of action regarding the estate. Obtain copies of the death certificate and notify creditors, banks, brokers, insurance companies, and other entities of the person’s death. Ensure payment of all debts and any required expenses to administer the estate. Complete all tax returns and receive all tax clearances before distributing any property. Distribute all property and assets consistent with the terms of the will or trust, or based on the orders of the court. Obtain any necessary receipts from the estate beneficiaries and make a final accounting. Close the estate by filing necessary documents with the court. How Can an Estate Probate Attorney Help? It can be overwhelming to try and manage all of the legal aspects of administering an estate, especially while you are grieving the loss of a loved one. Our experienced attorneys can help ease the burden by assisting you in opening the estate and filing the necessary paperwork to be appointed as the personal representative or executor. Depending on your situation and the level of complexity of the estate, we can help to define and prioritize the tasks at hand. If there are conflicts within the family and court intervention is necessary, we can support you through that process and ensure the best possible outcome. If you are a personal representative assigned to manage the estate of a loved one, we can help bring clarity to the situation. We will sit down with you and explain your duties under the law in plain and simple terms. And we will offer sound and practical legal advice so you can make an informed decision. Ultimately, you are in the best position to decide how to manage your loved one’s affairs. Our attorneys are trusted advisors who will make sure you have all of the information you need to proceed with confidence. 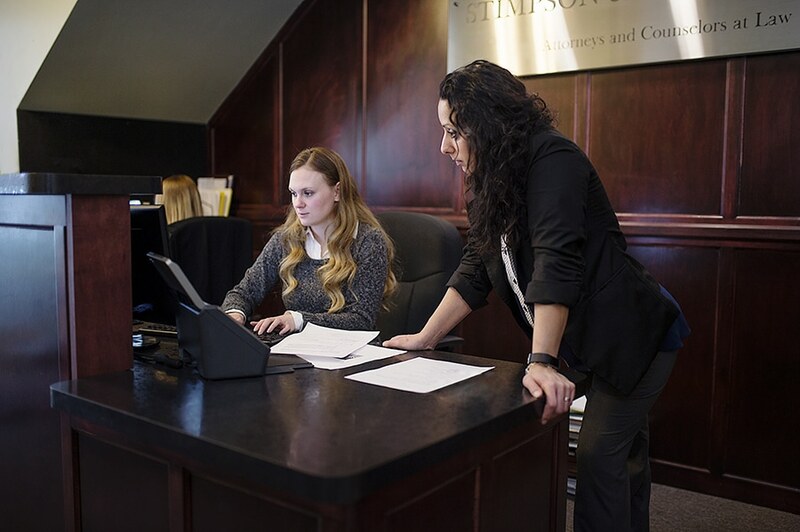 If you are looking for trusted and reliable attorneys to help you manage the estate of a loved one, call Stimpson & Associates for a complimentary consultation at Ann Arbor 734-707-9455 or Tecumseh 517-423-0999.